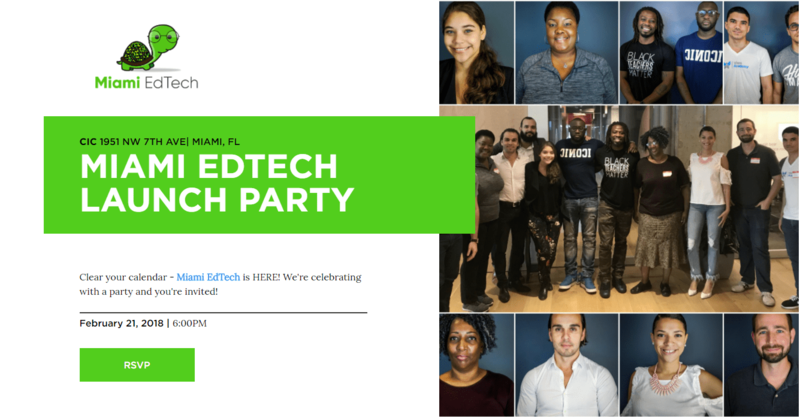 Clear your calendar – Miami EdTech is HERE! We’re celebrating with a party and you’re invited! Meet some of Miami’s EdTech startups, listen to their EdTech journey, find your next co-founder or team member, and much more! We’re uniting the EdTech Community in Miami (and beyond)! We’re passionate about education, technology, and making a difference. Join us on the journey! XAVIER GONZALEZ – Chief Executive Officer of eMerge Americas. eMerge Americas showcases the hottest start-ups, cutting-edge innovations, and latest trends in technology. Thought leaders from key industries in the midst of transformation will convene in Miami to connect and learn about the latest technology developments driving growth and innovation in the Americas. Skillied – Skillied connects people to unique local learning experiences at every price point, time and location. And with a growing community of users, Skillied is the easiest way for people to monetize their classes and showcase them to an audience of thousands. Coursechunks – Curate your own collection of educational materials for teams, communities and individuals. Shareable little chunks of educational content tradable among teachers. videoRehearser – A Training Management System engineered to expedite social, academic, and workplace learning. videoRehearser leverages neuro-education and social cognition to facilitate individual performance transformation.